Like a dusting of fresh snow Snowfix blankets the garden with small, bright white flowers. Vary your Monarch Butterfly caterpillars diet! Colourful & more ornamental than the standard Swan Plant. Favourite for kids (Big & Small!). 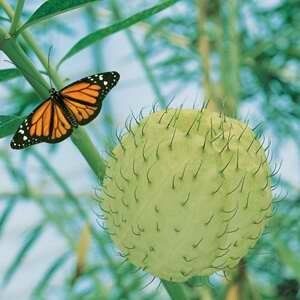 Otherwise known as "The Monarch Butterfly Plant" this unique plant will bring hours of joy, as both young and old marvel at nature! Bonita means "beautiful" in spanish. 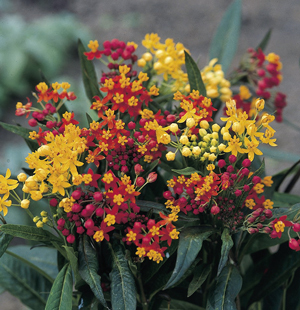 Fully double, brightly coloured pompom flowers. Long strong stems. 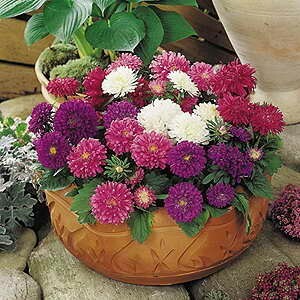 Aster Boy & Girl (Pink & Blue) are ideal for pot or container planting. 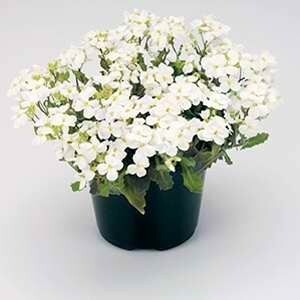 Best grown for large mixed pots and containers. Dwarf plants with double flowers 7cm across. 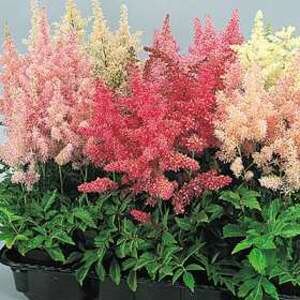 Flower panicles of tightly packed, upright spikes of creamy white, pink, rose and shades of carmine blooms. 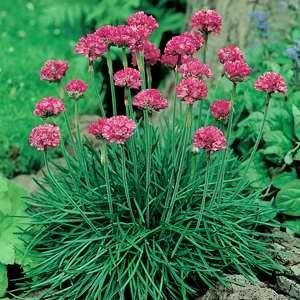 Has the advantage of attractive ‘filigree' type foliage as well. Sunny to shady locations with moist soils are best.